Orchid crime is serious business. “How long I shall stay up there I cannot tell, I came down here today and I can tell you, only dire necessity has driven me to it, I had nothing to eat, to come down and then to climb again 3,000 feet … is not like taking a walk on London Road on a Sunday afternoon,” Micholitz groused to Sanders in a letter sent from Padang in January 1891. When In 1818 the naturalist William John Swainson sent back the first orchid specimen seen in London, orchid madness was born. Soon rich collectors were sending hunters far and wide into the wild to try and collect new and rare examples, reaching its heights in the Victorian era (mid-1830s to early 1900s). These hunters were a wild bunch who took their work to extremes with many dying in the pursuit. Besides the treacherous terrain, tropical diseases, angry indigenous populations and vicious animals, they had to worry about their fellow orchid hunters. Another of Sander’s hunters, William Arnold, once pulled a gun on a rival and the two nearly came to a shootout shipboard heading to Venezuela. Arnold was later instructed by his employer to follow the man – who worked for Sander’s nemesis, Dr. John Lowe – collect the same type of flowers he did and urinate on the other man’s specimens to destroy them. Even the less irascible hunters followed their rivals and tried in subtle ways to derail their efforts. In July 1876, Friederich Carl Lehmann followed Edward Klaboch around Ecuador in order to collect plants from the same locations and then attempted to poach Klaboch’s local assistant. Lehmann got his comeuppance. Klaboch’s man refused to help him and ratted out Lehmann to Klaboch. Klaboch promptly confronted Lehmann, who denied the exchange, saying the local man was a liar with the result that no one in the village would give Lehmann the time of day. Klaboch also gloated that he had collected more orchids than Lehmann. Schadenfreude seems to have been a common feeling among these mostly solitary men. The life of an orchid hunter was far from romantic. Besides the various geographic and meteorological pitfalls, there was the basic problem of getting the plants from where they were found to the base camp. From there they would have to be dried and packed and then carted overland to the coast by hand, horse, elephant or Llama (depending, obviously, on where the orchids were discovered). A long sea journey to England came next. Finally, with a little luck, the plants would have survived the hardships and produce flowers to awe the rich willing to shell out cash, mainly at auctions held to buy and sell the exotic wonders. “Ten thousand plants may be collected on some remote Andean peak or Papuan jungle with infinite care, and consigned to Europe, the freight alone amounting to thousands of dollars, yet on arrival there may not be a single orchid left alive,” wrote the reporter William George Fitz-Gerald. Sander, one of the largest employer of these bad boys of horticulture, was an avid orchid aficionado who at the height of his career employed 23 orchid hunters scattered across the world and had a sprawling orchid farm in St. Albans, near London. There, in 60 greenhouses specially adapted for the specific conditions needed to grow each orchid variety. The company handled between one and two million plants there in the 1880s and 90s. Sander also had space for testing and cultivating hybrids. As the business continued to grow, Sander built a orchid nursery in New Jersey and another in Belgium, which had 50 glasshouses for orchids. 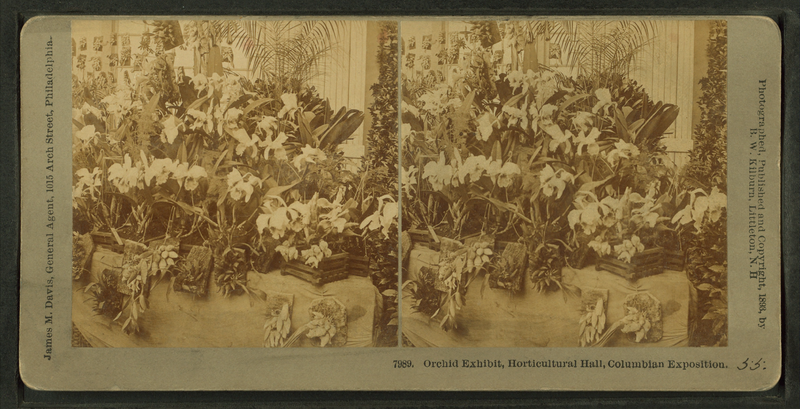 Orchids were big business, with truly exotic plants fetching thousands of dollars each and trading from collector to collector pushing prices ever higher. Sander told of one such exchange. He and a Liverpool lawyer were walking through one of the greenhouses when a particular orchid plant that hadn’t yet flowered caught the attorney’s eye. He purchased the plant from Sander for $12. Five years later he sold it back to Sander for $1,000, or the equivalent of $24,390 in todays dollars. Sander was born in Hanover, Germany in 1847 and at age 20 began working for a London seed company. He soon fell in with the intrepid Czech plant collector and adventurer Benedikt Roezl and went into business. Roezl was a one-handed dynamo who traveled, mainly on foot, across the Americas collecting orchids and other plants. On one trip alone, traveling from Panama to Venezuela, he sent back eight tons of orchids to London. Roezl turned to orchid hunting after a farm machine he invented to extract plant fiber took his hand during a demonstration in Mexico where he was living. He began hunting orchids after the accident, as he found farming difficult due to his impairment. Fitted with an iron hook, his prosthesis was apparently popular with local Indians, who would bring him plants. His obsession ran in the family. Klaboch, the hunter who was followed hither and thither by a rival in Ecuador, was Roezl’s nephew. These orchid hunters desire for discovering and collecting, and the insatiable demand for the flowers in Europe and America, was devastating to the native orchid populations as well as the trees on which the epiphytic flowers grew. These orchid hunters desire for discovering and collecting, and the insatiable demand for the flowers in Europe and America, was devastating to the native orchid populations as well as the trees on which the epiphytic flowers grew. There are still areas in Central and South America in which the plants never recovered. Today, many countries have laws in place to stop the wholesale stripping of orchids and other plants from their native habitats. The hunters themselves became a dying breed, literally. Sander, during an interview in 1906, tossed off more than half-a-dozen names of his hunters who had been killed tracking down his flowering treasures. Arnold was killed while on a collecting expedition along the Orinoco River and Klaboch died in Mexico. 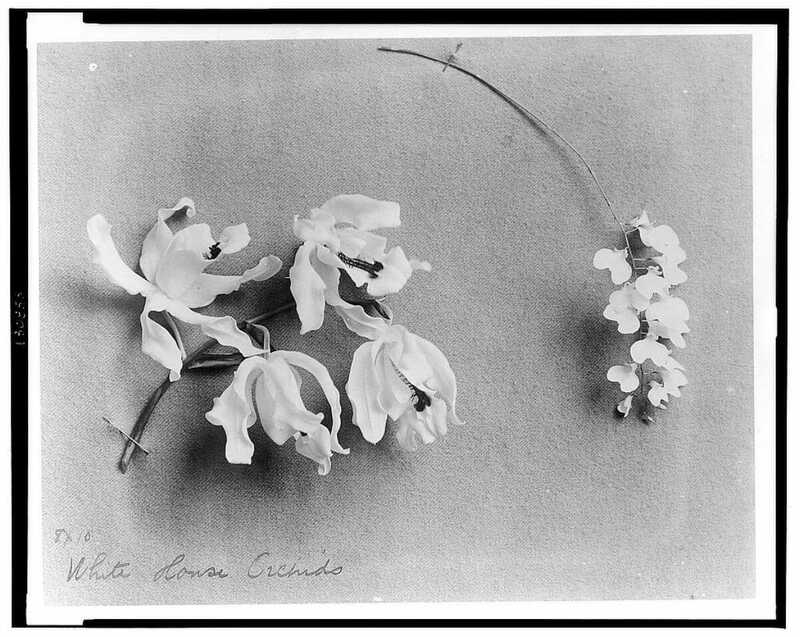 Micholitz, while surviving the life of an orchid hunter, died in near poverty in Germany. “All these [men] have met more or less tragic deaths through wild beasts, savages, fever, drowning, fall or other accidents,” Sander told Fitz-Gerald. Leon Humboldt, a French orchid hunter, remarked that after a dinner with six other hunters in Madagascar, four were dead within four years. Two years later, Humboldt was the only survivor. Orchid mania eventually went the way of these hunters, mainly thanks to the discovery of how to grow the plants from seed, a problem that was on its way to being perfected by the 1920s. These exotic blooms have now become a standard flower shop product and the intrepid hunters who once risked their lives to find them and the inflated prices the wealthy Victorians were willing to pay for the blooms have been resigned to history.